Whatever may be the reason why your style has changed, you cannot help but demonstrate it in various aspects of your life. Say, from being a shabby-chic fan, you have transformed into a fierce minimalist who loves Scandinavian design. Naturally, you will find a lot of your old possessions out of place in the lifestyle you have now aligned yourself with. If you have the financial resources for a home interior style overhaul – good for you. But, what if money’s a bit tight? Should you just live with the interior style that you do not like? Not at all – with careful planning and a few resourceful hacks, you can create a home interior that brings you joy. Start off by getting all the inspiration you need in one place – on an “inspo” board, if you will. You can create a physical inspiration board or a digital one such as what you can make through Pinterest. Through you inspo board, you will get a better idea of which elements should be present in your home as well as which should not be in order to achieve the look you want. Clearing out your home will allow you to imagine all the possibilities with the new style you are aiming for much better. Oftentimes, physical distractions or clutter can muddle the ideas you have for your design. The presence of big furniture and appliances can also confuse you about the proportions of a room, or even make you forget that you had been using them to conceal structural imperfections of the house. For a clean slate, consider renting a storage facility and perhaps even hiring house clearance services. For sure, you will have several pieces of furniture and décor that can still work with for the new interior style of your choice. Gather them together and determine where they should go into your home. Paint is affordable and it can do so much for the style overhaul you want. It can make tacky old furniture look like new, and allow it to have a different character with a fresh coat of paint. For example, a big mahogany dining table can look too dated and severe in a Scandinavian interior design. 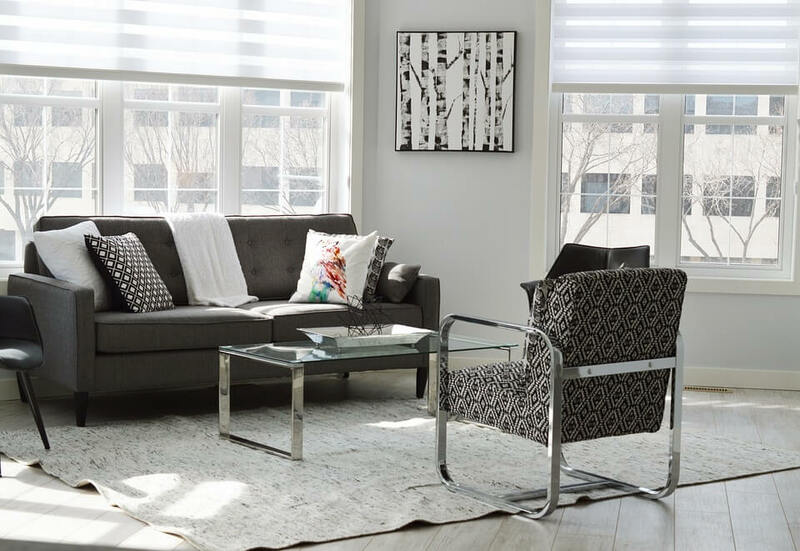 Painting it black or white or in a light pastel color will have it blend into its surroundings better for that much-desired clean and stylish yet “hygge” (cozy) impact. Do you have a large collection of frames, boards, silverware, tension rods, buckets and other thingamajigs? Figure out new treatments for them so they would align with the new home style you’re going for. For instance, frames can make light switch plates look more elegant. Boards and silverware can be used to create an artistic key holder. Meanwhile, you can use tension rods to replace plastic shoe racks. As for metal buckets, there is simply is no shortage of design possibilities with them. You can get a lot of great stuff to work into your home interior for cheap. You really just need to have a solid idea of which old or reclaimed items can serve or complement the style you want truly well. Contact paper comes in large variety of designs and there is no doubt you will find one that goes with your esthetic. This is an affordable solution to counters that do not match cupboards and cabinets and even ugly splashbacks. So, if you cannot afford a marble countertop or cedar wood tables just yet, tap into the power of contact paper. There you have it, seven effective ways on how you can get a new home interior style for less. Give them a go in transforming your home into a full demonstration of your esthetic – a dwelling that is all you and you truly love.